Another morning for one of the deer fawns as it rests under a tree. The mother deer must have called the fawns over for a late morning checkup. 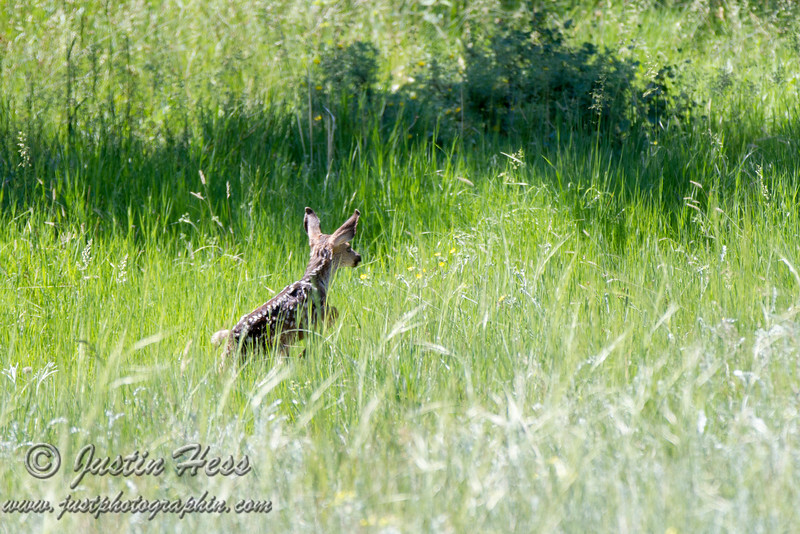 It is fun watching the fawns navigate through the grass.